Antonia Cheung: My father Mr. Chang Don Chien was the chief engineer of the South China Iron Works from 1948 till 1968. A Biography of Mr. Chang Don-Chien by Antonia Cheung. Mr. Chang, Don-Chien 張敦潛 was born in 1918 in Shanghai. He studied Classical Chinese, Chinese calligraphy, arithmetic under a Chinese scholar before he was six. At seven, he entered private elementary school to learn other modern subjects such as Civics, Music, Arts, Social Studies, Physical Education. At twelve he was studying at the high school affiliated with the famous Tongji University 上海同濟大學 附屬中學. Mr. Chang was fluent in three languages, and three Chinese dialects. He graduated in 1938 with a degree in Mechanical Engineering. He got married at age 23 to Miss Chin, Kwai-Hing. They first lived in Guilin桂林, and later Chongqing. They moved to Hong Kong in 1949, and he retired in 1976 after a long and brilliant career. 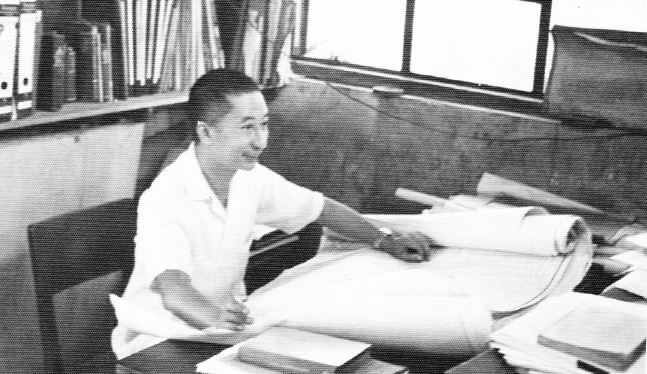 He was an expert engineer and was sought after by many elite engineering firms in Hong Kong from the ‘50s to the ‘80s. He was a consultant to many companies in addition to his full time jobs as chief engineer and factory director. After his retirement he migrated to Edmonton, Canada. In 1979 the family moved to California, U.S.A. They had five children, and three grandsons. Mrs. Chang died in 2012. In 2014, at the age of 96, Mr. Chang died on his birthday. 1938 to 1944 Chinese Army, Research Center of the Artillery Division. 砲兵廠研究所 修砲廠 as engineer. 1944 to 1945 China Motors Company, Guilin Division, 中國汽車製造公司 桂林分廠. He was hired as assistant engineer by Mr. Wu, 吳曾植, who later hired him again to work for the South China Iron Works, Ltd. Hong Kong. 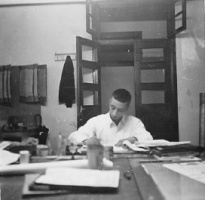 1945 to 1947 as production engineer at the Office of the Chinese Military Chief of Staff 聯合勤務總司令部 第四汽車修理工廠. Here he was to learn how to repair and maintain military trucks, and construct engines which produced automobile parts. 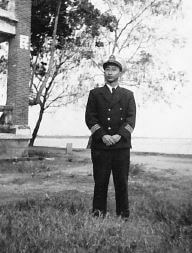 1948 to 1949 Joined the Chinese Navy as 2nd Lieutenant Engineer under the Admiralty to work at the Whampoa Dock 海軍縂司令部黃埔造船所. 1949 to 1967 South China Iron Works, Ltd. where he held various positions: shop supervisor, Design Engineer, Head of Engineering Design Department, Assistant Factory Manager, and Superintendent of the Foundry. 1967 to 1977 Universal Die Casting Co. Ltd, Hong Kong. He was chief engineer, technical director and later became the plant manager. The company was first contracted to repair and maintain marine diesel engines for Whampoa shipyard, Hong Kong. These engines were for fishing craft. Mr. Chang and his staff provided solutions on site and supervised lots of repair work on many ships of the fleet. Taikoo Shipyard purchased their engines as well as contracting SCIW to repair and maintain their fleet. Some other heavy machinery produced by SCIW included engines for Taikoo Sugar Refinery Company. 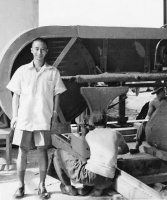 Mr. Chang led a team of engineers who worked at their location in North Point. Many large textile companies in Hong Kong were founded around 1955 with most of their machinery bought from England and the USA. With very high demands on the purchased orders, the machines needed to work efficiently and effectively. Long periods of downtime were unacceptable, SCIW was contracted to handle their maintenance, to ensure broken parts could be replaced, engines could be restored to proper working conditions with minimum delay. SCIW were involved with famous Hong Kong textile companies including Po Sing and South Sea Textiles whose factories were also in Tsuen Wan, near SCIW. Plastic products became popular worldwide in the late ’50s. Hong Kong industrialists built tens, even hundreds of factories to make household plastic products to fill their global purchase orders. SCIW designed and built machines for these companies: different sizes, special functions, and ever changing specifications. Mr. Chang was very involved in the designs of those machines. He had a team of 15 draftsmen at the time to draft the design documents. To ensure their engines and machines were the best, SCIW even had its own small plastic factory to produce plastic flowers, and sold them to the public directly. China Dyeing Company, Tsuen Wan, a major player in the textile industries in the 50’s and 60’s, was located next to the SCIW plant. They contracted SCIW to modify much of their machinery to enhance its efficiency and capabilities in order to meet their production requirements. Mr. Chang was in charge of many of the designs of these new or modified machines, and the continuous support necessary to maintain them. This article was first posted on 22nd December 2015.